The Image Generator makes social sharing quick and easy. Learn how to choose quotes from your company's favorite reviews, style them with beautiful background images, and share them on social media. 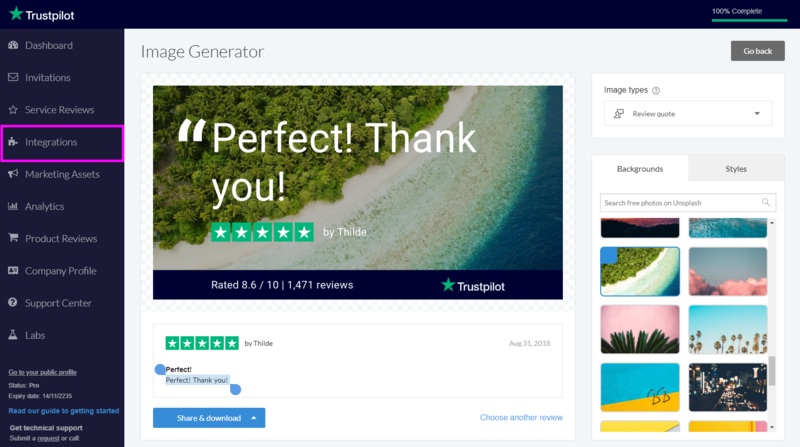 Go to Trustpilot Business > Integrations > Image Generator. 1. Pick a quote from a review: Move the blue cursors to highlight the part of the review you'd like to share, or find another review by clicking on Choose another review. Keep in mind that the font size will adjust to the amount of text you select. a) Select one of Trustpilot's default images. b) Search Unsplash's large collection of free images. c) Upload your own background image. Now explore the styling options available under Styles. You can apply a filter to your image and play around with the text color. 3. Share on social media: Click on Share & Download to share the generated image on all your favorite social media channels. 1. 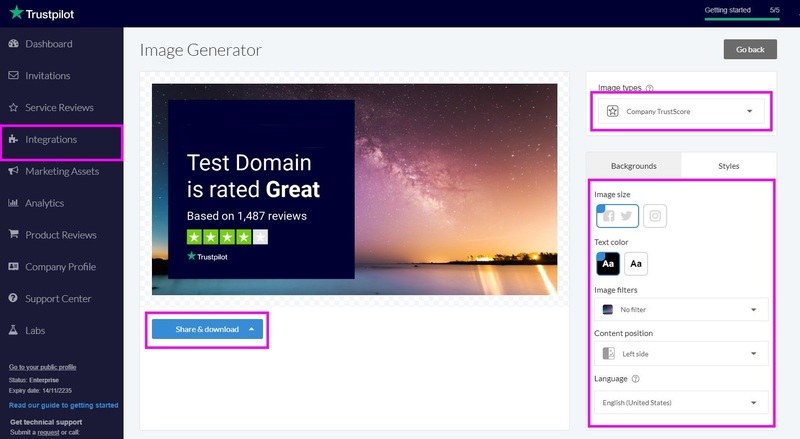 Select Company TrustScore under Image types. To share your image on Instagram, simply download it from the Image Generator page and upload it manually to your Instagram account.